"Manage projects in the cloud"
I like GatherContent to keep my team together. We used email to share our progress. That was over because there were delays and misunderstandings. The documents used to be lost among so many editions and it was difficult to find them. Now with GatherContent each project is available in the cloud with its respective advances, where everyone can enter, review and edit the files that correspond to them. In all the time I have been using GatherContent, it has never given me any problems. Learning to use GatherContent is not difficult, just that you have to take the time to go through the workspace. With GatherContent we manage our projects, all the new, the editions are uploaded to this platform, as I mentioned before we had delays and misunderstandings so it has also contributed to create a better work atmosphere. - Guiderails: Inside the WYSIWYG editorial manager, you can relocate new substance components, extending from single lines of duplicate to radio catches to document connections. What set this apart for me was the alternative to enter microcopy (a guiderail for content makers) and character/word limits. At the point when editors are taking a shot at the page, mousing over a substance component uncovers the microcopy. When entering content, GatherContent tracks what amount has been composed. - One-tick basic site outline: This site delineate is computerized, so that – as you fabricate pages or drag over a sitemap into GatherContent – the site outline constantly prepared to be seen, no work essential. Sweet. - Progression bar: It's a unique little something a venture chief fixates on. GatherContent pushes that privilege in everybody's face, with a spotless minimal green/orange refinement. - Create parts: That felt a touch interesting to me. In any event none of the CMS I've encountered made characterizing new parts so basic. For an item like this, that sort of customisation might be brilliant. - Concealed usefulness: Perhaps it was me, however there were sure errands that I battled with (appointing a page to a client, joining content messaged to the undertaking to a page, and so on.). They should be possible okay, yet it took me a while to work it out. Apparently on the off chance that you utilize this a bit, however, that issue vanishes. - No email push settings: This was more risky. GatherContent sends venture members messages each time something happens to pages you're dealing with. "You were doled out a page", and so forth. This is great, however – in the event that you were dealing with a huge venture – it could before long wind up overpowering. On the off chance that there was anyplace in GatherContent you could change your informing status (what sorts of exercises push you an email), I couldn't discover it. - No fare specifically to a CMS: This feels like a really crucial capacity. That is to say, you've built up a heap of substance in this awesome substance work process device; now you need to distribute it. Errrr, it'll just fare as PDF or through an API (which is all cool in the event that you have designers in your endeavor to code that for you – and I figure that is their intended interest group). Modules to send out straightforwardly to WordPress and ExpressionEngine are as yet lethargic. Murmur. If you have any problem you can contact with support they are too nice. You obviously need an internet connection. You must try it !!! GatherContent permit to make layouts, dole out obligations, set due dates, oversee status, track history, remarks and the sky is the limit from there! It's simpler for me to oversaw, altered, survey and endorsed the site substance and for my group to make certain they truly got the last form to coordinate into site. "A good and effective platform for better efficiency"
It is a good tool that helps you in creating and making a better and effective approach towards business. It helps you by keeping you in order and keeping you in pattern by dividing the workload evenly and managing tasks in a periodic manner. Thus it leads to better and good content creation and a good methodology for nice implementation. It is a good platform so I like it a lot as it is great overall. The installation of the software is very easy. It is an uncomplex software with easy going features that helps you in getting accustomed to it very easily. The contact support is very friendly;y that helps you instantly and sorts your issue. It is a good alternative to google drive being user-friendly and quick. It is a great tool that allows you to manage the content effectively, set the last submission dates and track any sort of history with your work. You can make out the surveys thus evenly distribute the task and assignments between teams. "An excellent strategic tool epecially for team work"
It is a good tool that helps you in managing good tasks in an organized and synchronized manner. It assists you in managing you assignee and work and distribute them in your teams. You can designate the work and divide it at one place. A unique way of integration. I found its price a bit higher but apart from that it is very good. I recommend this software as it has great organizing and structuring content for a good use. It enhances your time to be used in a better and good place. The installation is easy and the setup is uncomplex. It is very user-friendly and time saving. It is a great an uncomplicated tool that allows you to manage the content and increase the productivity all at once. It gives a good team work thus manages it evenly and in order. It has also helped my company to a new level by creating new and good tools. GatherContent has a sleek, easy to navigate interface combined with a comprehensive customization that enables any organization to tackle any content-driven project. Their development team is constantly addressing items, so some of what I list here might already be coming down the pike. 1) Right now you cannot import into an existing template with Excel/CSV, so you have to import a file and then setup the template it auto-creates. 2) You cannot bulk delete single item owners. You would need to click into each item and remove, or remove all and add the other owners back on. 3) The API is getting better, but can be finicky at times. If you area looking for an alternative to using Google Drive/Dropbox or related services to manage multiple files for content-driven projects, then give a GatherContent a look. We manage content revisions for various clients' websites and other digital content problems. The customizable workflow, deadlines, assignments and customized user roles help keep the subject matter experts, editors and approvers to specifications and on time. "Excellent tool for organizing content"
I love how this app organise content and allow all operation task to happen in one place from planning to processing until approval. Everyone know the designated place to work on the content and many people can work on the content at the same time. Build custom template and thus easy to structure the content. Its integration is quite good. I have nothing to dislike about this software,though its price is a little steep. I highly recommend this software for organising and structuring content while in the same time enhancing collaboration . Easy to collaborate with other co-worker from remote region when working toward a common project. We also use this platform when redesigning our company website. This help in reducing the amount of error as well as speed up content creation while remain conscious of the budget. In terms of affordability, this software can be rated as the most important and friendly. Again, it is simple, without a complicated user design. The process that one uses to get the software is also straightforward. Lastly, the vendor takes the issues of a customer with the seriousness they deserve. The security of this cloud based storage platform is not fully reliable. Again, the software cannot be entrusted with information that is sensitive. Lastly, it lacks some essential content management features. The software is for small businesses. If yours falls under that category, get the software installed in your company. We wanted to have our data well preserved, where the authorized personnel can immediately access it. Again, we thought of a successful sharing of files among our members. "Amazing content tool for all teams!" I love the customizable workflow and templates. I am able to set up a client sitemap for their website projects quickly while customizing the environment for their specific needs. We are experiencing some snafus with the new update. The commenting feature for full page comments has hidden notes left by clients. Take the time to have their amazing customer team demo the platform for you. Connecting multiple teams from clients all around the world in one easy to use content creation and editing tool. The ability to bulk download file assets in an organized by page is such a time saver. Due to huge comments inflow, it is sometime tiresome to follow up and also adopting to the latest version is at times hectic. Also the cost involve after exhausting trial bases is high. I will recommend other to switch on to this software tool so as to reduce wastage of time while designing their website. Also it is most effective in tool to associated with business stakeholder.. It has make it easy to have a bond relationship with our stakeolder and able organise a platform that is easy to operate and manage. All content operation task are done under one platform from planning to approval of the project therefore easy to collaborate. Multiple user can work on the content at the same time. Sometime is difficult to follow up the magnitude of the email since many user can work on the content at the same time. Also adopting to new version can sometime be quite demanding. With GatherContent you can be able to organise, structure and get the best format of the content and therefore able to keep track of the project. "You can Easily organise and produce content for website projects anytime "
you could Gather and organise website content in one place. Get sure about ensuring content in the right structure, well written and ready for use. Could write, edit and approve content from your ideas. "The best content development tool in the market"
I like this software because is simple to use. The way it keep everything together and make it easy for each person to know where is suppose to work on the content. A group of people can work on the content at the same time thus enhancing collaboration. I have nothing to dislike on this software, it operation is amazing. I highly recommend this tool to any company that encourages teamwork. It have made it easy to manage a large group of member in our company toward creating content for our project. It have greatly enhance collaboration, reduce time and error when preparing a report for our project. I like how GatherContent put everything in one place and thus allow all content operation start from planning ,production to approval to be undertake at a single platform. Active notification keep everyone on loop and multiple people can work on the content at the same time. Easy to lose your content and account as well if you are operating you account on trial basis and you don't pay after the trial elapse. 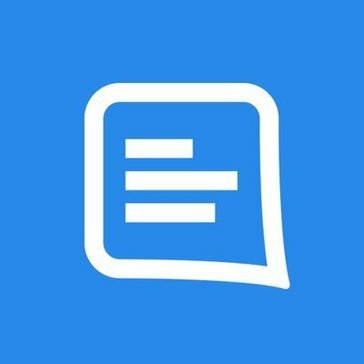 We have use this app to manage editorial process. Easy to discuss content and speed up reviews. "A easy peasy content manager." It is very easy to use with excellent features. Now you can designs amazing networks and help your companies with an easy structure and produce amazing content to help them grow. I have not disliked anything about it yet. I like it because it is time saving. It is highly recommended as it is easy to use and setup. It is quick and responsive which is best so a must try. By this it becomes easier to collaborate as a team. helps you in reducing error when designing our company website. Also assist in making and editing content. "Become more impressed the bigger my requirements become"
I've used Gather for straightforward copy management, but am now building templates, managing many reviewers, etc. and am seeing another level of the tool that really helps me make sure content created is consistent with our content strategy. Genuinely - can't think of anything. But as our organisational needs grow, I'll deinitely be in touch! Managing multiple stakeholder reviews, which was a nightmare for the writer using tracked changes. Stakeholders love it too - it's transparent, collaborative and more efficient for them - and us. "Great tool for all companies." To start with, GatherContent has a very clean and simple interface. It is very powerful for what we need and also works great for both small and large projects. I Iove that I can keep track of my due dates if all the different projects am working on. It is .y wish that I could be able to integrate it with our case management software in order to easily manage other pieces of information. Organise content for web projects and improve our process for creating and organising content for the web. I like this software due to its ability to keep everything in place and enhance collaboration. Its is easy to build custom templates thus easy to provide content needed. Its much easy to evaluate and edit review with this software. Also GatherContent have enable our team to stay keen on deadline of projects by reducing time and error when formulating content. "New User of Gather Content"
The best thing about GatherContent is that it gets rid of a lot of emailing back and forth, and holds people accountable to deadlines. The interface isn't as clean as I would like it to be, and getting email notifications for every single time someone pings you in a comment is pretty irritating. It's definitely worth a trial! It can save a company so much time, and you'll never know how it's going to work out for your team if you don't give it a shot. The biggest problem we are solving is workflow. Instead of playing the guessing game to figure out who we are waiting for in the process to more the project along, we know with GatherContent what stage we're at. "Perfect tool to organise,plan and structure content. " GarherContent have prove to be the best tool to organise, formulate, plan and processes a good content. It encourage collaboration since multiple student can work on content at the same time. It ensure content is in the right structure and style. With this software it is easy to import content from different source. It quite expensive after the trials elapse. It have greatly assist my student to formulate projects with much easy. Also it has enhance collaboration among student and thus speeding up projects while in the same time remaining conscious on budget and time. "Excellent tool for content development "
I love how this tool enhance collaboration by organizing content in one place and each person know where to work on the content. Automatic notification keep each person on loop. Easy to import information from other sources. This tool helpful in creating content right from planning ,production until approval. Sometime GatherContent is slow, perhaps is due to bulk content under one page. I highly recommend this software due to its efficiency. It have really prove helpful when creating content for our website. It speed up content processing and development as well as reduce error. "Get all content in one spot"
Fairly intuitive user interface, Easy to set up project templates for recurring projects. Easy to create groups for workflow purposes. Fairly customizable. It looks like there's also Drupal integration, which we'll be looking forward to trying out when we launch our new site. Sends email notifications for every comment, sometimes resulting in excessive GatherContent emails. Setting up new projects can seem daunting at first. Certain auto-formatting options that are available in word are missing, makes a few things a little more manual. Project management across multiple teams without sending tons of emails and multiple versions of word docs. Version control seems to have improved. Content can now be found in one central repository, vs hunting down several emails with different pieces. "Excellent Software for Managing Content Projects"
We used to work in Word documents and Google docs, which can get messy and unorganized. GatherContent helps us keep all projects, pages, comments and edits in a single place. It's great to have stakeholders, writers and project managers view the same thing at the same time. There hasn't been anything specifically that's come up! Definitely take the time to train anyone who might be using it! Some people might be hesitant at first, but taking the time to walk them through the portal is key to making sure it's successful! We've streamlined our content creation and management for website products, which is something we worked to do for a few years. "It's the only game in town, but its decent." The tool is useful for organizing content for website redesigns. I have used it for up to 600 pages of copy for a given website and it is efficient and collaborative. I don't like that the platform is not optimized for atomic design. We use alot of unique components in our website layouts and this tool doesn't allow for dragging and dropping to build a page. It's cumbersome to create a template for every possible combination/order of components for a given layout. We use it to collaborate with clients through the content development process. It helps with version control and not always emailing attachments of multiple versions with tracked changes. "The best way to work with content production and approval"
Simple, yet very powerful. GatherContent was the only solution that we found to solve the old but very real problem of working with clients to develop content for web sites. They don't plan to offer a version in Portuguese (Brazil) anytime soon. GatherContent allows a very clear management, making visible who is doing what and especially who is running late or in need for information or approval. Gather has been such an effective tool in our restaurant! I like that all of my other managers can have their own access and it makes communication easy between team members. It takes less time and less steps than any other catering system we have used and it's more effective. The only thing that I've had trouble with was the initial information transfer from my old system, but it could have been fault of the other program. We haven't had any other issues. great for both the FOH and BOH and it took maybe one training session to get the team on board. Clients that we book have really approved of having their own Event Portal, as well, and it makes them feel like they are more apart of the whole process than what we have experienced with other systems. "Great for Organizing - Not for Editing"
That you can create a site map of content that is accurately representative of the site tree you are building out. The components that are created in the template HAVE to be used the way they are built into the template. It would be ideal if they could be reordered (drag and drop) in the order they would likely appear on a page. If you are looking to utilize gather content for component based websites that are interchangeable, this may not be the best approach since the layouts created are static and cannot move order. Large scale content management for website redesigns and migration. "Needs Updates and Better Functionality "
I like being able to edit as a team from one place. It's not easy to format, leave comments, or generally navigate in the platform. I do not like it's latest platform framework updates. Editing of firm communication messages. Easy to organise, manage and structure content. Put everything at on place and therefore make it easy for all the member to work on the content hence collaboration remain the main core. I dislike how you are unable to access you account together with the content if you fail to pay for the account once the trial basis expire. GatherContent help us in upgrading our website and getting the right content that suit our objective. "Store content in one place." Gathercontent has helped to organise content in one place. It allows content operations task to happen in one platform from planning, production or approval. It has helped to enhance collaboration by keeping everything in one place. Gathercontent has field level guidelines which makes the content to be too brief. I highly recommend the use of this application. It has helped to store all content including media files and texts in one place. "Very nice suite of tools for managing ongoing projects and timelines "
Nothing that I'm aware of or comes to my mind. I've used Gather to manage some copies, now that I'm creating templates, managing many reviewers ... and I'm looking at another level of the tool that really helps me make sure that the content created is consistent. The configuration of new projects may seem confusing at first. Everything else would not change anything. Managing multiple stakeholder reviews, it was a nightmare for the writer who used follow up changes. It is also transparent, collaborative and more efficient for all. The site is simple and intuitive. It didn't take long for me to understand the ins and outs. When I first used it, I was confused momentarily because when I sent the assignment to the next stage, it showed that it was updating only me and not the other people I was working with. However, the other people I was working with did indeed get a notification. GatherContent makes publishing articles fast and easy. "Great at managing content "
I love the interface of GatherContent. It's sleek, minimal, but the color coding makes it fun and informational! Quite honestly, I haven't come in contact with anything I disliked about GatherContent. GatherContent allows for our clients to upload their own files and for us to edit in real-time, with the option to add notes, highlight, and upload files. "Good for collaborating and translating content "
Good for collaboration. Used to prep content for sitecore with multiple language versions. Task and workflow management is pretty basic, would like more options like managing tasks at a tab level (not just an item level). Figure out back end wiring to your CMS before you commit to how you build items to avoid rework. Making sure content is structured for CMS but with ease of a WYSIWYG editor for writers and reviewers. "Good for gathering content only"
crowd sourcing an editing job makes the work go faster. it's an efficient way to assign tasks to a group of people with checkpoints alerting owners to their due dates. when a specific page was reviewed, the names of owners weren't always clear. If only one of the names needed to be checked off for the review yet there were four names listed, the item ended up going Overdue. we're solving a large editing project with hundreds of pages of content being delegated to teams of people efficiently and getting the content reviewed in a timely fashion, rather than having to print and share. Gather Content is a great tool to use for organizing and structuring. It is very useful for managing the data from accounts. I don’t like that there is a fee to use the tool, however with its use one can find the worth of the price. Always remember if you know you aren’t using the software as it’s intended you don’t need to pay. I am solving by keeping the data from the finance. By organizing and keeping a structure I use this tool for financing and accounting. Gather Content is good for collaboration and creating an organized workflow. It does require some training, but once you've got it down, it's a helpful tool. It's not a very intuitive platform. You need to be trained on how to use. It's also strange how you need to tag people you'd like to see your comments. We have used Gather Content for multiple projects, but most notably, we used it to build a new website from scratch, and collaborate with our agency and developers. It streamlined everything so we didn't have to email or conference call. The user interface is bit difficult to navigate. I think GatherContent in general is a good business software as it solved document consolidation problems. And we use it frequently on daily work. It was a reliable solution to improve our content marketing policy. User friendly, time saving and no need to spend hours in meetings! "Simple and effective way to collaborate on web content creation"
Very user-friendly, aesthetically appealing, well-organized. Little things are annoying but not awful. There's a red "1" in the upper right corner that never goes away, like I have an unopened message. It will tell me I have an overdue project when it's a project assigned to someone else. Collaboration and communication issue are being solved. "It truly helps turn chaos into order when producing content for website projects"
It has Wordpress integration, which has saved me a lot of time in putting approved content into our websites. All integrations are maintained by CMS experts but I cannot tell who is maintaining what. I'll never have to copy and paste again! It greatly reduces human error during migrations, also. "Great platform! Have been using it a long time." Super easy to use for our agency staff and clients. Nothing really. It is simple to use and does not have a ton of nonsense that we do not need. Several years back we had issues with various edited versions of content being mixed up and misused. We tried many different options and Gather Content finally solved that for us. It is the longest running software we are using, and we plan to keep it indefinitely. Herramienta muy útil para organizar contenido y rediseñar distintos sitios web. En ocasiones tarda demasiado en cargar,por lo que hace que sea difícil acceder a ciertas cosas. Resuelve problemas de colaboración y comunicación. Además también soluciona problemas de organización. It is an organized way to keep all content in order and easy integrated into the CMS. There is not clear space for where images fit in along the way. Solving organization problems with keeping edited copy in the order of the page. Independent business ownerI need more time to review this product, as I being prompted to write this before I got a chance to work with that. I need more time to review this product, as I being prompted to write this before I got a chance to work with that. delivery of high quality within price, very efficient to use and help to improve the process and organize things. Its useful to use many ways because helps you to save time and very automated. I use this when my friend ask me a help for his business. Has all the features of the competitions and more! This product is great for our website projects. * We monitor all GatherContent reviews to prevent fraudulent reviews and keep review quality high. We do not post reviews by company employees or direct competitors. Validated reviews require the user to submit a screenshot of the product containing their user ID, in order to verify a user is an actual user of the product. Hi there! 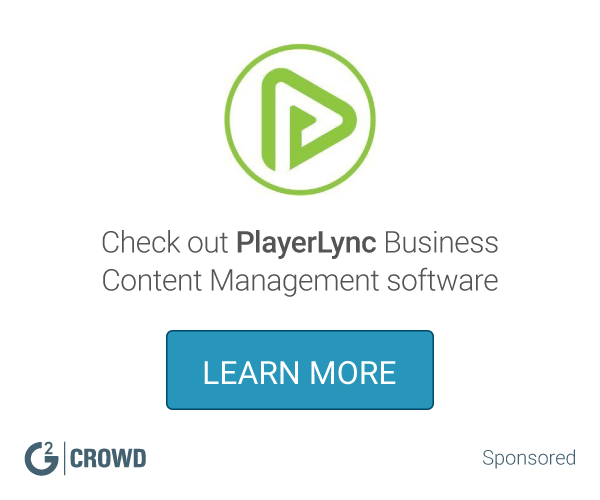 Are you looking to implement a solution like GatherContent?